Let’s face it – finding a job it’s generally pretty tough. We spend hours, days and weeks putting together and sending out resumes and cover letters that no one gives a passing glance to and find that it’s often a test of endurance and perseverance. Of course, it’s been said for ages that the best way to find a great job is through networking and this is certainly true in the recovery field and if you are looking for an addictions job. And, what better way to network than on social media, right? Well, sort of. There’s actually a right way to do that and some really, really wrong ways. That’s what we’re going to talk about here. Now, LinkedIn, by nature is a professional “social” network so it’s ok to jump on there and start connecting with people and looking for opportunities. One of the best ways to use LinkedIn is to find specific companies on there that you are interested in. Once you do this, see if there are any people connected with that company that you know or that know your existing connections. If there are, ask your personal contact to connect you. You can also send out an email to all of your contacts in LinkedIn and let them know your situation and asking for any help or “connections” that they may have. Finally, LinkedIn now lets you link a blog post to your profile, that updates weekly and sends an update out to your connections. This could be another useful tool to keep in touch with your contacts. Facebook networking is a little bit more intricate because it is a “social” network. Yes, we know, there are a million businesses and Ads on Facebook but any selling or propagandizing (even of yourself) must be done with caution and finesse. The key here is to, first and foremost, build relationships with people and add value. Do not, EVER, “friend” someone or “like” a Page and then immediately ask for something. Give. Give. Give. Whether it be compliments, information or something else of value – give until it hurts. Ask questions about their posts or status updates or let them know you simply appreciate the time that they take to provide the information that they do. Nurture relationships with people and organizations and think of these as long-term. Hint: Start now. It’s ok to indicate on your profile and in a post that you are looking for a job but do this sparingly. 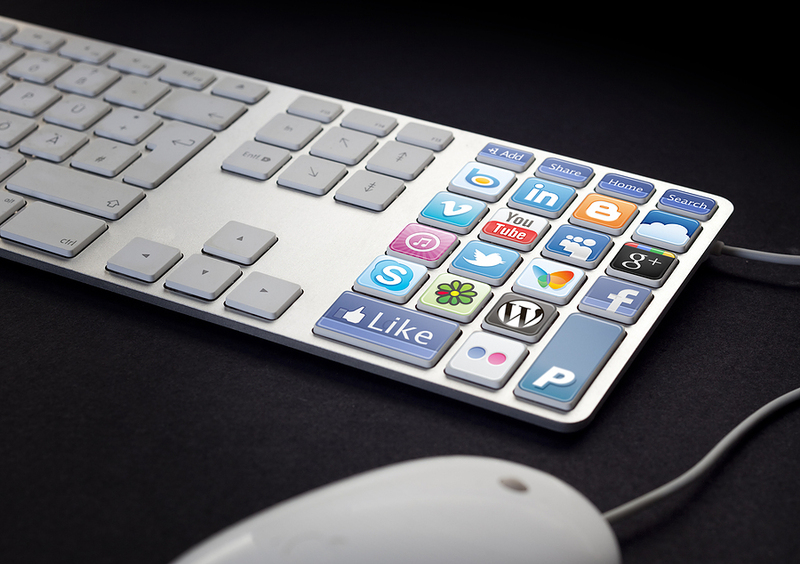 Continue to express yourself online and just be you – as long as it is appropriate. Tip: people are attracted to humor, intelligence and charisma. This – not so much. If you are having conversations with hiring managers or recruiters on social media, add value to those conversations as well. Don’t just keep asking for the job (annoying). Instead, point out things you have done in the past that would be of benefit to the organization and provide a link if you can. Get a Job on Twitter? Can you really get a job on Twitter? It does happen, but it’s not likely. What you can do, however, is build those relationships and add value (see above). If you are not already on Twitter, either join or change your profile (you can do this) name to your actual name or as close to it as you can get. You want the people and companies that you are networking with to actually know who you are – helpful. Start searching for companies in the industry that you are interested in working in or search with keywords such as “rehabs”, “substance abuse” or “treatment center”. You’ll find plenty. Follow those people and, in turn, check out who follows them and who they are following. Those are other good leads. Many people follow back and you can start having, and joining, some conversations. Again, build relationships and don’t ask for anything. It’s ok to put on your profile and “tweet” occasionally that you are looking for a job but DO NOT start direct messaging people and asking for employment. Things that you CAN tweet about (sparingly) are the types of jobs you are looking for, interviews you have had, relevant information in your career field and the great people you are getting to meet in your job search. Finally, don’t give up. Strong relationships take time to build and foster and this isn’t any different with the online ones. If you want to get something out of social media (like a job), you need to be willing to put something into it. Devote a certain amount of time each day, 1-2 hours, to your social media profiles and to fostering those relationships. Do this now and continue it even after you find that amazing additions job through social media. Who knows? You could be that great connection for someone else someday. 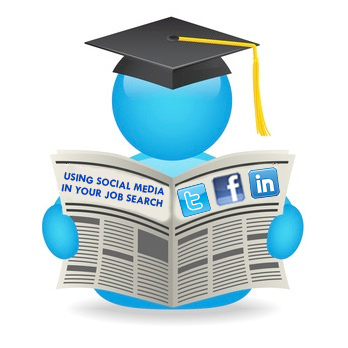 I never knew that social media had such a big impact for job listings. I have only used LinkedIn and have got a few offers through that but never Twitter or the rest of the above. Which do you think is the most important to getting hired? There are a TON of jobs on LinkedIn. If you have the necessary degree’s, I think that the right employer will always find you at the right time.